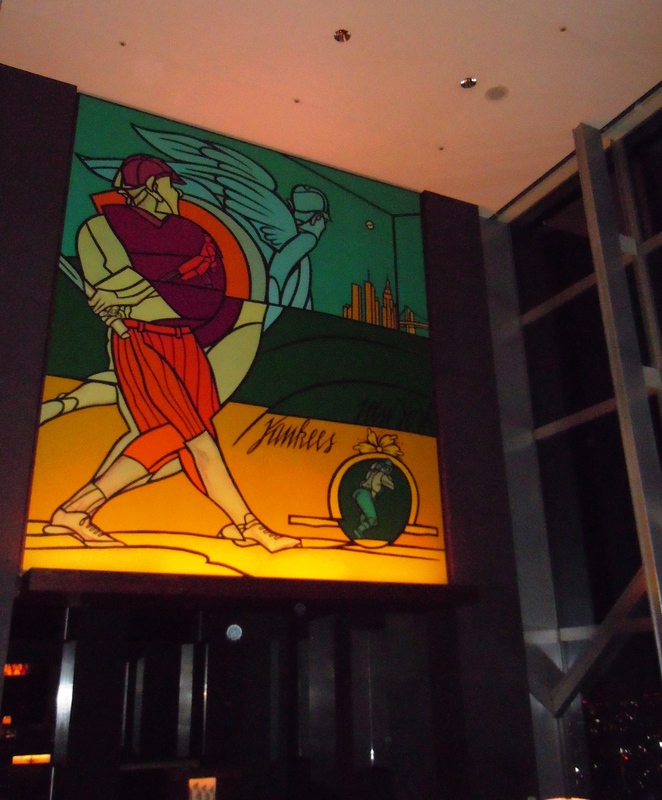 Well, if you consider edamame beans washed down with a Coke dinner, then I dined at the Dome. I was in Tokyo for three nights as part of an Asian work trip that included Shanghai and Hong Kong. But visiting Tokyo for the first time since 1994 was what I was most anticipating. And, naturally, being The Frugal Fan (my new moniker… you like?) I jumped on the chance to attend my first ever Japanese baseball game. 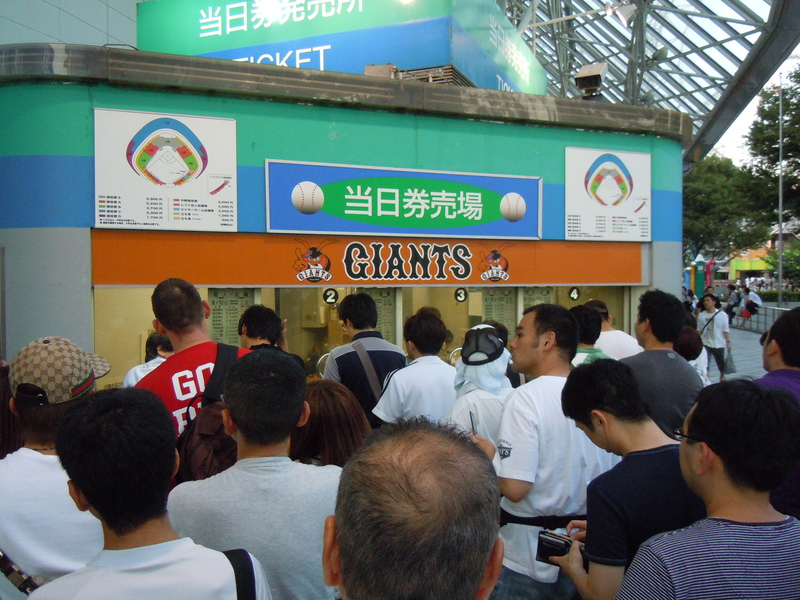 The Giants are one of two teams based in Tokyo, along with the Yakult Swallows, who resemble the Mets to the Giant’s Yankees. The Giants have won 21 Japan League titles, 11 of them with legendary player Sadaharu Oh (most career home runs of any player in the world). 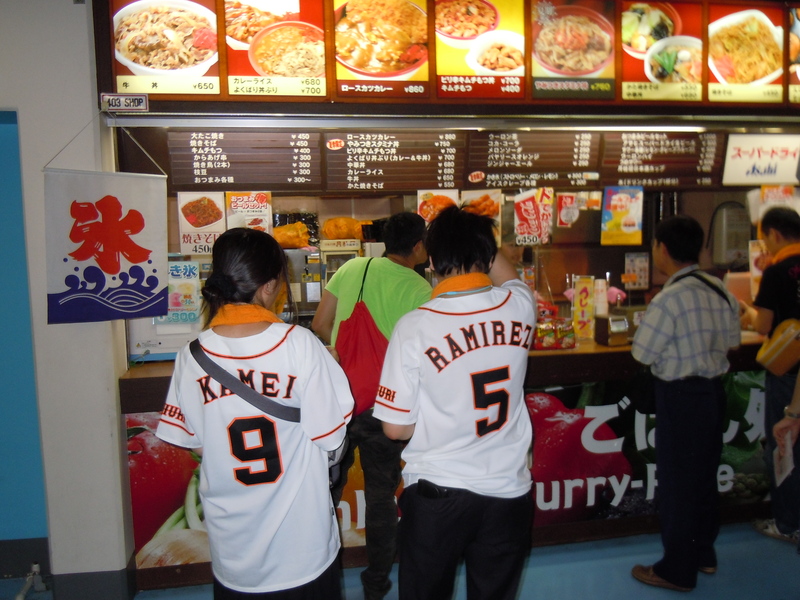 The Japanese league has only 12 teams, compared to Major League Baseball’s 30, and each of them are corporate sponsored. With the Japanese economy in the doldrums for, oh, the past 23 years, companies have been pretty stingy with their spending and the league has suffered. The most talented Japanese players now take their trades to the US; thus, the likes of Ichiro in Seattle and Matsui in LA command more attention than local players. 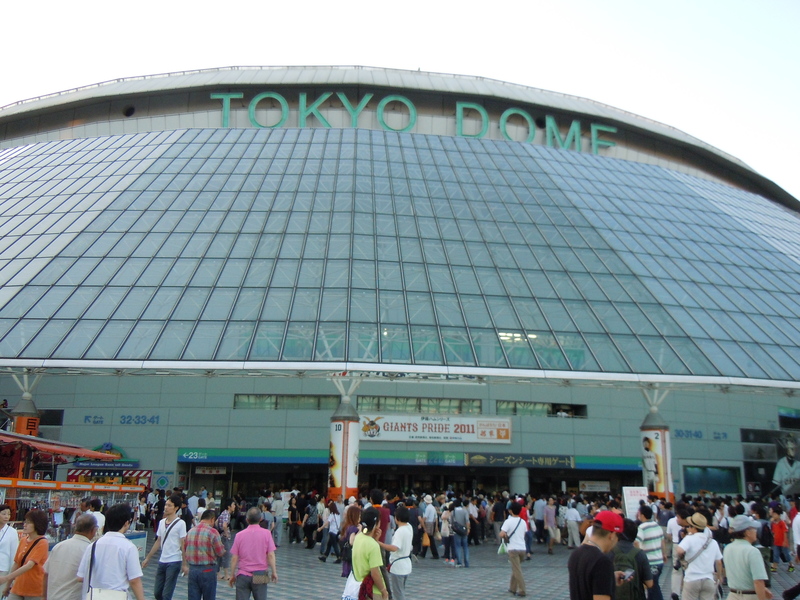 Nevertheless, I was determined to pay a visit to the Tokyo Dome, which most famously was the host of the biggest boxing upset of all time: Buster Douglas’ knockout of Mike Tyson in 1990. The fight was scheduled for a morning start, so that it could be shown late night in the US, and Tyson later admitted he was up mingling with sketchy women in his hotel room the night before. Douglas, grieving over the loss of his mother, was less distracted and miraculously evaded getting knocked out himself, having been floored for 9 seconds before finishing off Tyson in the 10th round. But I digress. Back to the issue at hand: I had a game to go to and no ticket. Hotel concierge? Nah. 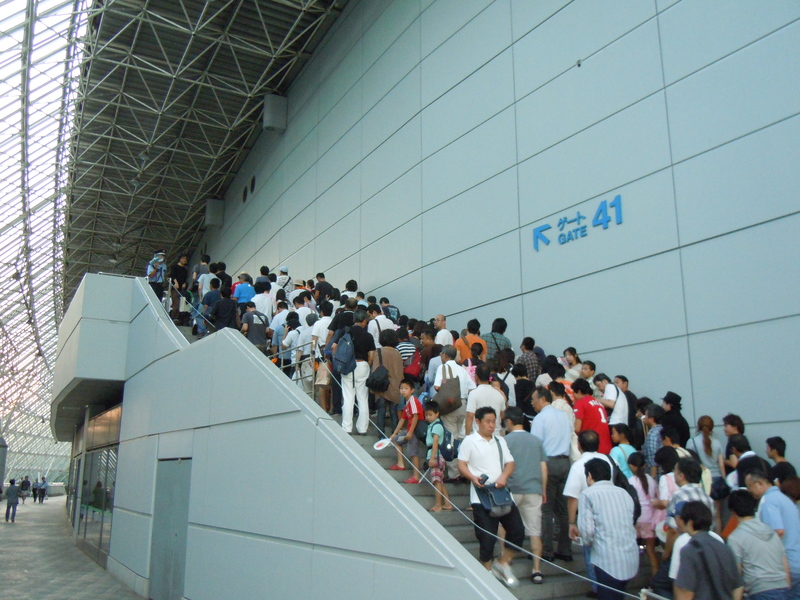 With the exchange rate at 77 yen to the dollar, spending any unnecessary cash on ticket premiums was out of the question. So I rocked up to the Dome at 5.30pm looking for any spares available. Only there were no scalpers lingering around the metro station, and none that I could see (or understand) leading up to the gates. My only option was to hit the ticket counter and pony up the 2300 yen ($30) for an upper deck seat between third base and home plate. Once inside I was surprised by how weathered the Dome felt. It was like a smaller, blander version of the Houston Astrodome, only the Astrodome was built 23 years earlier in 1965. The fake turf needed replacing, the lighting was terrible, the seats were old plastic uncomfortable flappers, and space between rows down the bare minimum. I had beer spilled on me more than once by guys trying to squeeze into their seats. I also noticed there were no real luxury boxes as we’ve come to know them in the US and Europe. All that said, I somehow enjoyed a great view despite being up in the nosebleeds. The vantage point worked out well. Concessions were interesting. Diet drinks are not popular in Asia (cos, well, they eat healthier so the word ‘diet’ has less commercial appeal), and all the sizes we’re accustomed to were shrunken. A small beer went for 800 yen ($10.50), a bag of nuts for 200 (a steal at $2.6) and my meal of choice, edamame for 350 ($4.5). I also opted for a small Coke at 250 ($3.2 … pretty reasonable vs any US arena). My one splurge was on a Yomiuri Giants baseball cap at 2800 yen ($36.50 vs $30 + tax for an NFL NY Giants cap at Giants Stadium. Both crazy ripoffs.). Another quirk during play: the Giants pitcher overtly balked in back to back fake throws to first and third, yet strangely there was no call. A balk is an infraction committed when a pitcher motions towards a base runner (to keep him from taking a big lead) before winding up for his pitch to home plate. The rule is apparently never called in Japan, and when an American umpire debuted a few years ago and called a balk on a pitcher, the pitcher greeted him with a punch to the gut. After 3.5 innings, I’d seen Alex Ramirez, the Giant’s Venezuelan slugger, hit his 18th homer and decided it was my cue to exit. with only 2.5 days in Tokyo to spare, I didn’t want to waste any time, and the vast nightlife of Shibuya awaited. My friend Jay was DJing at a place called Frames, so after returning to the hotel for a quick change, I made my way over to Shibuya station (Tokyo’s answer to the East Village). Taking a footbridge over the mass intersection which dubs as the most crowded crosswalk in the world, I took a walk under the tracks towards the club, only to find the most charming hole in the wall bar I’d seen in a long while. ‘4’ is a tiny watering hole tucked in what used to be a storage compartment for the metro station. 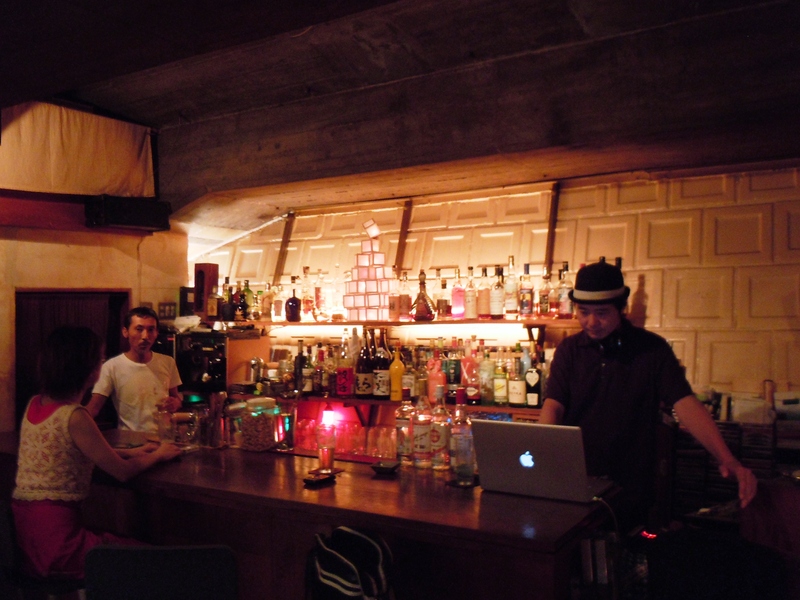 I walked in, and was greeted by the owner, a scrawny local who traversed the planet in search of fine rum, a woman in her 50s on a barstool who going nowhere in a hurry, and miraculously, a DJ dedicately spinning house beats on his laptop. Is this Babe Ruth or a Roman wearing a loincloth? Topics like this were fiercely debated at the New York Bar. Stay tuned for my follow-up highlighting my visit to a ‘this stuff fell off the back of a truck’ NBA store in Shanghai.